Have a party, and make these! 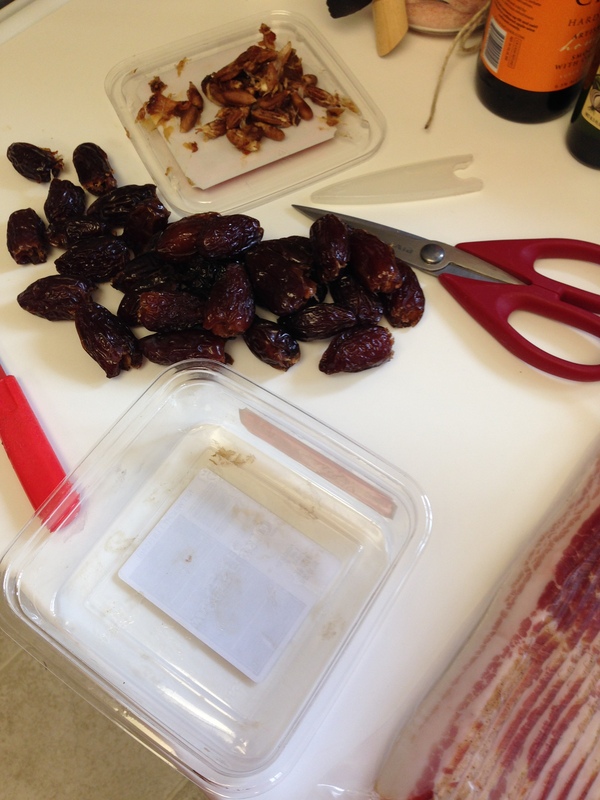 I pitted each date, wrapped it in a 1/3-1/4 strip of bacon (depending on the size of the date), and skewered. I ended up with 3 full skewers, so I flavored each differently: salt and pepper, garlic chili, and maple. 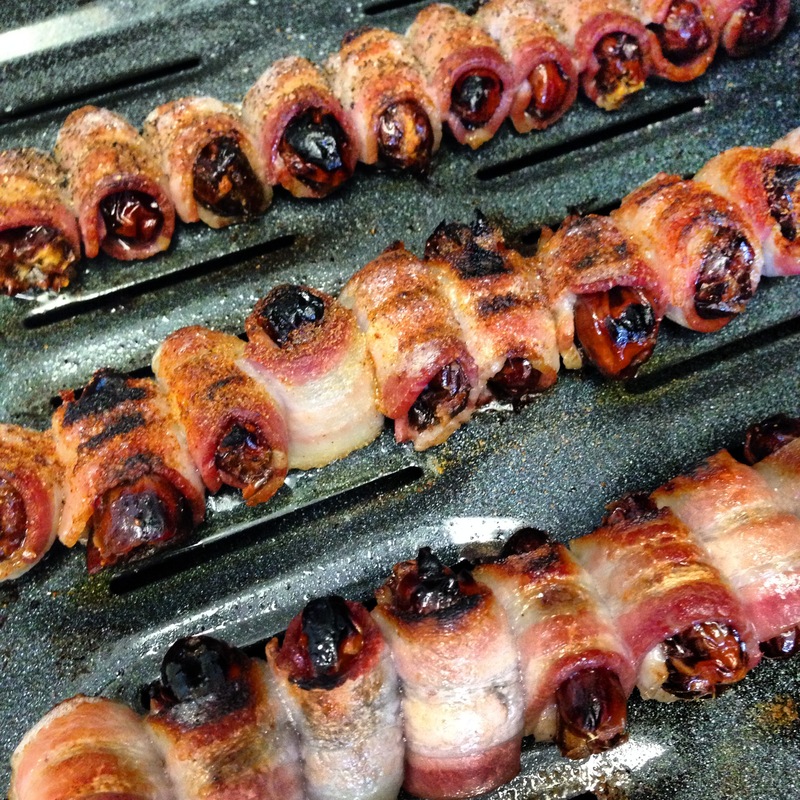 I broiled for about 20 minutes flipping half-way through, then baked at 350 degrees (to make sure the bacon was done all the way through) for about 10 minutes. Just keep an eye on them, you’ll be able to tell when they’re done. One recommendation for the flavorings, be very generous and use more than you’d think you would want, it really helps the flavor stick. Salt and pepper were just fresh ground right on top. For the garlic and chili I used garlic powder, and ground chili pepper (not spicy at all! Again, use more than you’d think). For the maple, I simply drizzled pure maple syrup over the length of the skewer. When I flipped them, I did the same. I loved them all, but preferred the salt and pepper! 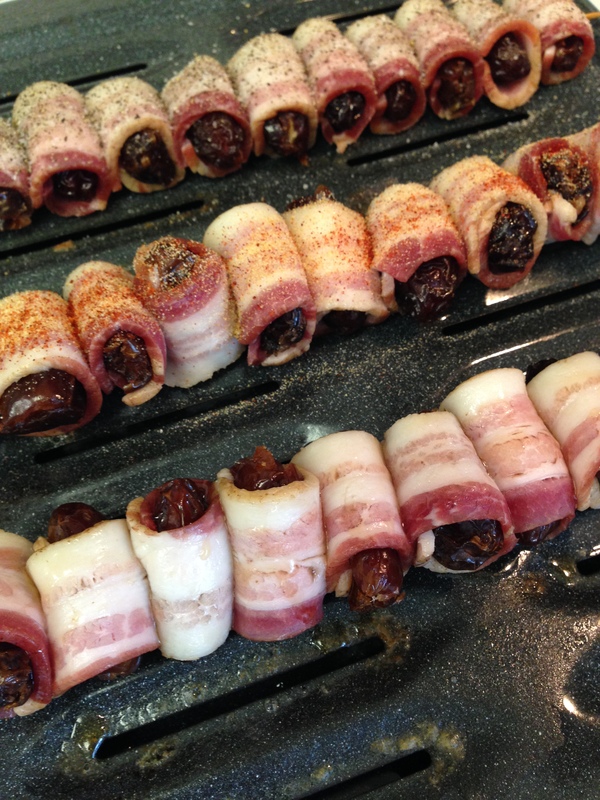 This entry was posted in Recipes and tagged Bacon, Bacon Wrapped Dates, Dates, Finger Food, Paleo, Paleo Snack, Paleo Treat by livinglikelinds. Bookmark the permalink. OMG, I’ve had these before, they are TO DIE FOR!!! Medjool dates are the best dates to use!